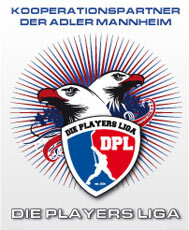 Hounds2 make it 2 for 2 – Die Players Liga e.V. Newly formed Bloodhounds 2 have had a successful start so far in this their first DPL season. The team is a mixture of young talent and wily veterans enjoying the best game on earth. The first game saw the Hounds face last season’s DIV 5 finalists Schole Alder II. After a slow start in the first period, the Hounds found their rhythm by the second period. Led by Björn Schönleber’s hat-trick and 3 helpers, the Bloodhounds 2 finished the game winning 9:0. Several regulars from Schole Alder were missing. The season is still young and for sure the playoffs (the second season) will be a different story for the perennial finalists Schole Alder II. Game 2 on Sunday Nov 12 in Eppelheim was against the ever dangerous Tigers II. Led by Jakob Olenberger, the Tigers II are not to be taken lightly. The Hounds were cautious in this second game, but were able break through to a 3:0 lead after 15 min. Adding 2 more in the second, the Bloodhounds went into the final frame with a comfortable 5:0 lead. Each team exchanged goals in the third, bringing the final result of 6:1 for the Bloodhounds 2. Next game for the Bloodhounds 2 on Nov 19 at 20:00 in Waldbronn.